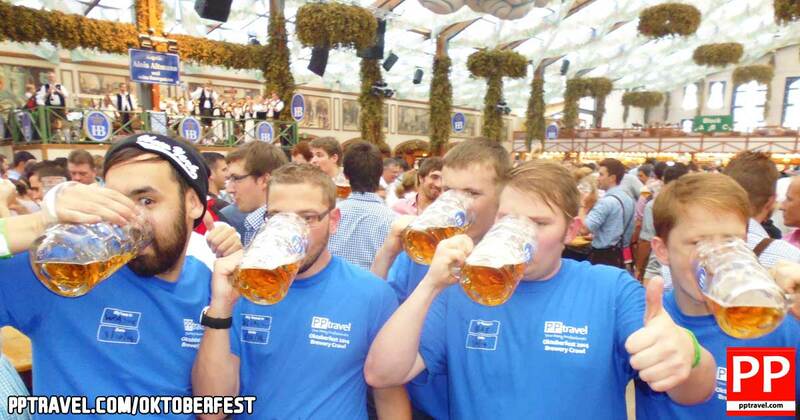 Recently, in a few differing circles, there has been a debate as to whether the price of beer at the Oktoberfest has been a contributing factor in the declining crowd numbers at the world's biggest beer festival in Munich. Well there is some positive news emerging from Munich with the announcement that the Mayor of Munich, Josef Schmid, the man responsible for the Oktoberfest, has plans to cap the beer price at the Wiesn to a maximum of €10.70 up to and including the 2019 Oktoberfest. Mr Schmid, at the same Munich City Council meeting in May, is also going to table the proposal for the extension of Oktoberfest this year to Tuesday October 3rd which would mean the festival will run an extra two days this year than normal. Despite reports that these changes are already definite they are actually yet to be presented to Munich's City Council. It is, however, HIGHLY likely that these changes will be implemented and certainly many outlets have already reported these changes as accurate despite them not having been voted on as yet. The prices for steins/mass (1 litre) of Oktoberfest beer at this year's Munich Oktoberfest have now been set at between €10.40 and range up to €10.70. As always, no matter where you are imbibing, to receive the best possible service from your waiter or waitress, tipping is essential. PP Travel always recommends tipping and this year we'll be handing over at least €12 for each initial beer we purchase and at least €11 for each additional beer purchase. There are actually 31 different bars, sheds, beer gardens, restaurants and drink stands where you can buy a beer at this year's fest so it certainly won't be difficult to find a cold beverage, that's for certain.